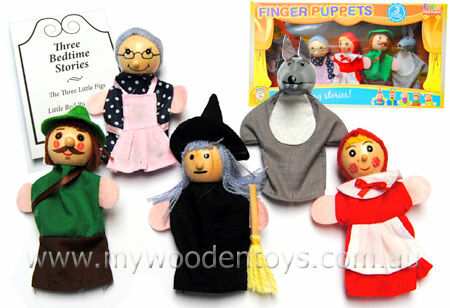 Red Riding Hood Finger Puppets are a set of five gorgeous, affordable wooden toys. Each little puppet is beautifully detailed and dressed in lovely clothes. The set contains five characters from Little Red Riding Hood including, the Wolf, Grandma, Little Red Riding Hood and the Woodcutter. We like this because: "Such lovely puppets and such good value"